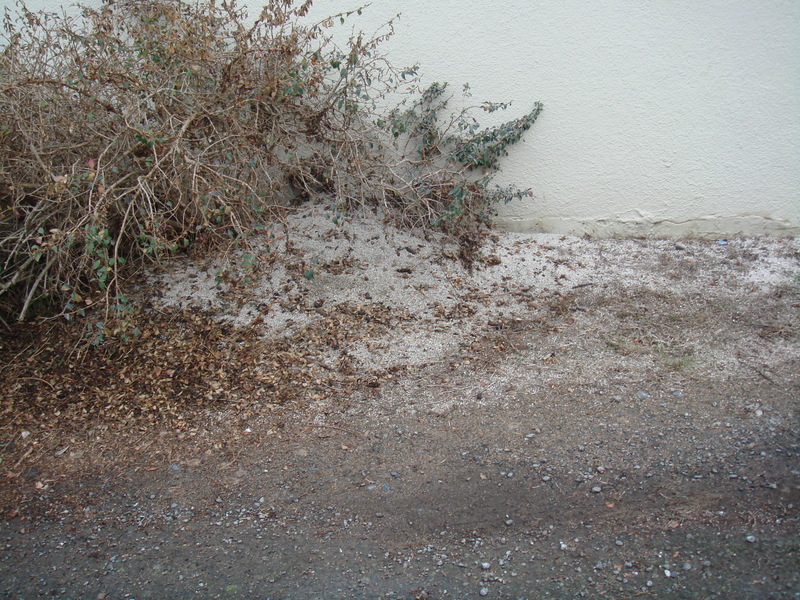 During a recent cold snap, I notice what appears to be snow in the alley that runs behind our house. Upon closer inspection, I discover the snow is kitty litter loaded with poo. Judging by the sheer size of these deposits, a mighty big cat lives in that neighbor’s house. The Control Freak part of me wants to confront the woman who tosses this poopy kitty litter behind her rented house and across the alley onto her neighbor’s property. I want to ask who the hell does she thinks she is? I’m going to call the cops. I will. I mean it. I take a deep breath and remind Control Freak that since this is not happening on my property, it is not my concern. But a bit of Internet research might make it my concern. A March 2012 article in The Atlantic catches my eye—How Your Cat Is Making You Crazy. Czech scientist Jaroslav Flegr describes how parasites from cat poo can permeate your brain and cause you to behave erratically. He claims that the parasite Toxoplasma gondii found in this poo “contributes to car crashes, suicides, and mental disorders such as schizophrenia.” By the fifth paragraph, I am so freaked out that I have to stop reading. But kitty litter is safe, right? Wrong! 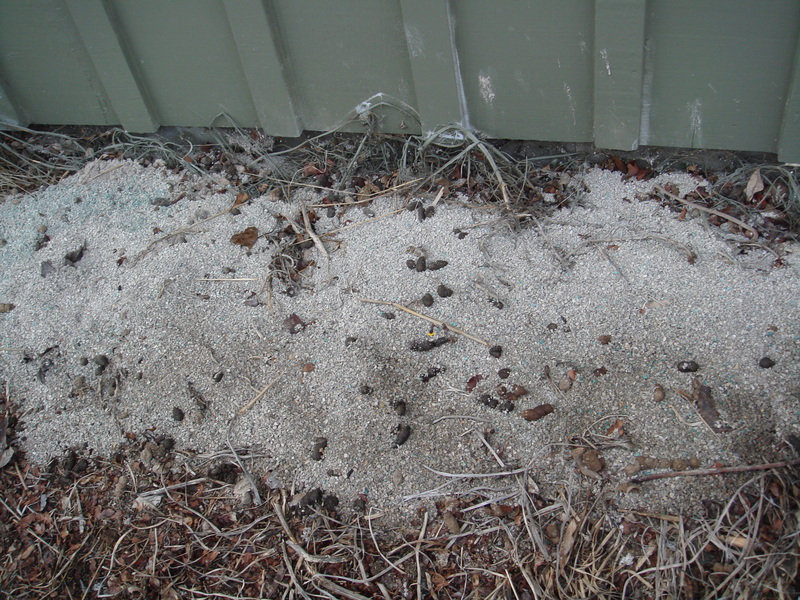 Most kitty litter brands contain sodium bentonite clay and silica gel. How dangerous can that concoction be? Apparently it can cause bowel blockages, cancer and a whole list of other terrifying side effects that—trust me—you are better off not knowing. It’s scary to think that whenever my dog Lucy and I walk past that woman’s toxic dump we risk constipation, cancer and a car crash. I don’t even want to think about what happens when the rains wash this cocktail of Toxoplasma gondii, sodium bentonite clay and silica gel down the street, into the storm drains for deposit into the Great Pacific Ocean. Someone with a great deal of discretionary time made dozens of these tags and went in search of abandoned dog poo. I wonder if this might be a piece of performance art or if the inventor thinks that by marking these droppings, he will change dog owners’ behavior. This got me wondering if the toxins in dog poo are as scary as those found in cat poo. Perhaps the dog poo tagger thinks he’s doing a community service. But I’m not certain this is the best way to manage the problem. What will happen to the fabric tags and toothpicks after the rain disintegrates the dog poo? Like the kitty litter, they’ll end up in the storm drains and float into the Great Pacific Ocean a few blocks to the west. Our city could institute a system similar to the creative management of CGI Residential, an apartment complex in Charlotte, North Carolina. All resident dog owners are required to take their dogs to the main office for a DNA swab. 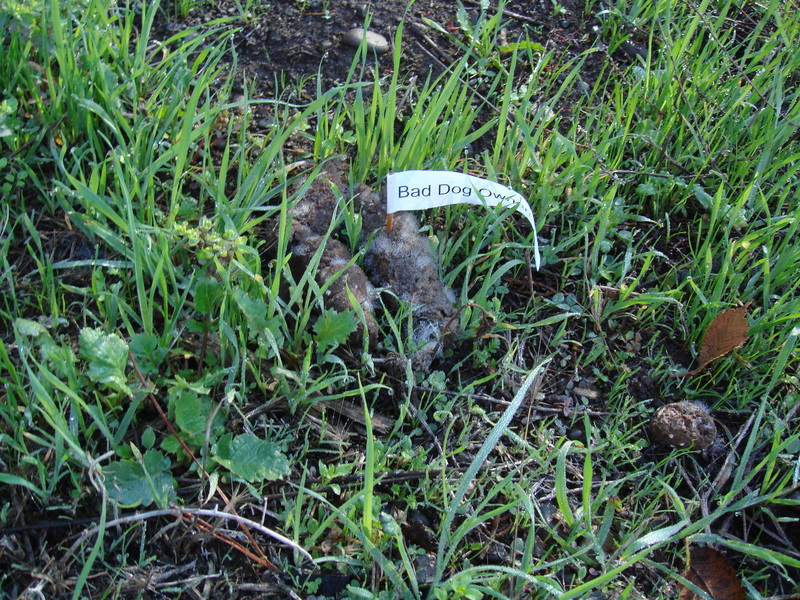 Whenever a public poo is discovered, it is collected, sent to a lab for testing, the dog identified and its owner fined $250. This solution might be difficult to enforce in a large city, but in a town as small as Fort Bragg, it should be a cinch. Each swabbed dog will have a large neon-orange “D” (for DNA) sprayed on its side. Permanent barricades will be erected at the intersection of Highway One and Highway 20 to the south and Virgin Creek to the north to check incoming vehicles for canines. 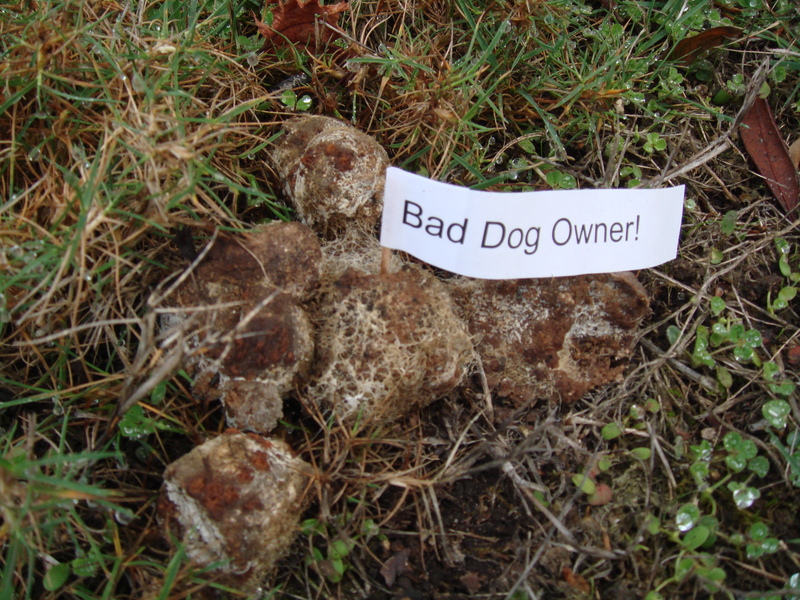 In this way, people who live outside the city limits and use our city’s amenities cannot sneak their unmarked dogs into town poo on the sidewalks. All this research has been exhausting. It’s so much easier to make things up. This entry was posted in California, Cats, Dog Breeds, Fort Bragg California, Humor, Mendocino County, Northern California, Small Town and tagged Bad cat owners, Bad dog owners, Toxins in cat feces, Toxins in cat litter, Toxins in dog feces by Kate. Bookmark the permalink. Kate, it never ceases to amaze me that you choose such timely topics. My friend was just telling me about watching a dog owner allow her pet to poop on a sidewalk near the school, then made no attempt to clean up the mess. Shame, shame. She didn’t even appear to be embarrassed about shunning her responsibility. Umm…maybe irresponsible pet owners who are caught neglecting their duties should be put into stockades on Main Street and publicly shamed. Alas, they probably wouldn’t acknowledge their inappropriate behavior and would continue their errant ways. Maybe if they were assigned pooper scooper duties around town it might encourage proper pet owner behavior. I couldn’t agree with you more, Judy. It’s disturbing how many people lack concern for their fellow citizens. Thanks for posting this. I have seen both additions to our hood and have been equally confused and dismayed. Maybe we should invite cat poo person and dog poo shamer to a tea? I love the idea of a tea! The shamer could go all dog poo crazy on the cat lady! I am sure you already know but said poo shamer is one in the same as your old dog off leash nemesis down the alley. How highly deductive of you, David dear. (I had my suspicions.) Next time I see you at The Purity, I’ll buy you a candy bar! No. Way. I love this. I want to hear said neighbor’s response. LOL. Sorry, no tips on Yahoo News. I just write my blog, put it out there and watch what happens.